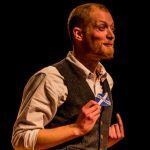 It’s the first time I’ve had a storyteller on the show and Dan does not disappoint. Delving deep into the nuts and bolts of what stories are all about and why we tell them, we spend a smashing hour exchanging ideas and of course laughs. Thanks for listening to us, and if you enjoy the episode, why not share it with your pals? If you can afford to, please join the growing number of people pledging a small amount to support the podcast: click here for more information. 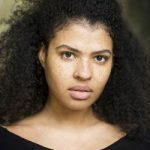 Both a brilliant actor and an all-round decent human, Jamie Marie has recently been seen in Dominic Hill’s production of Cinderella at the Citz and Adam McNamara’s groundbreaking police drama, Stand By, directed by Joe Douglas. Our chat happened in the middle of Christmas show time, so I managed to catch Jamie in between shows and luckily neither of us had a panto cold at the time. Thanks for listening to the show. Click here to become a patron. Costs just a few pounds a month and makes a massive difference to the running of the show! 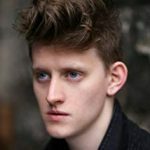 Actor and the star of Kieran Hurley’s recent hit, Mouthpiece, Lorn Macdonald chatted to me about being observed, moving swiftly from one role to the next, and even a healthy dose of spirituality. Big thanks to Lorn for taking the time to be on the show. Remember, if you’d like to help support the podcast, you can do so for just a few pounds a month by clicking here. 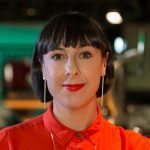 Orla spent seven years at the helm of the Traverse Theatre in Edinburgh, championing, programming and directing some of the best new writing in the world. We sat down to talk about her time at the Trav and what’s next, both for the theatre and for her!